NOTE: December is a crazy month for most music teachers. The December lesson plans are holiday season specific. These ideas can be used as stand-alone lessons and/or program ideas. Pitched barred instruments: Xylophones, glockenspiels, etc. I can identify and move to the beat of varying tempos and meter. I can identify, play, chant, and sing on beats one and three. I can sing music expressively, with varying tempo and dynamics. I can identify, sing, and play step-wise and repeating patterns. I can play an ostinato. I can count to twelve. I can identify twelve treble clef note names (B below middle C up through line F) and nine bass clef notes. I can identify and understand the basic functions of a piano. Step 1. Silently point, asking students to find their assigned place to sing Freddie’s song in a two-part round. Step 2. 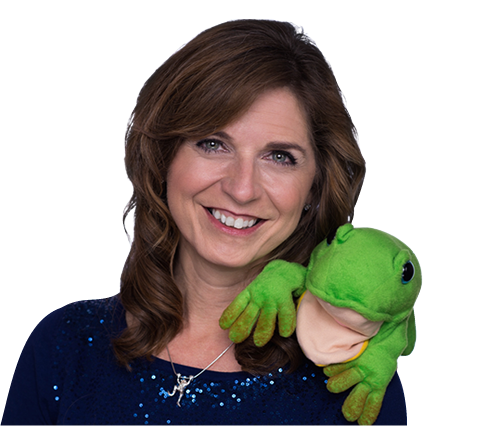 Wait for students to “do their job” so they can sing to Freddie the Frog. Step 8. Review bass clef and treble clef note names by story place or character. Allow time for students to move to each tempo before saying the next one. Explain that they just did an “accelerando” and what it means. Ask the students what order it needs to be in to move to an accelerando. Repeat the movement to accelerando. Demonstrate on stair-step xylophone or other pitched barred instrument. Play a quarter note ostinato on C while teaching the first line of the song. Play the melody on the second line of the song. Teach one line at a time by rote; echo singing. Require tuneful singing by asking students to listen, think, and then sing. Repeat until they do all three, then move on to the next line. Welcome, Friends. Be of good cheer. This is the hap-pi-est time of the year. One for all, all— for one. Sing all to- ge-ther, come join in the fun. Add C boomwhackers, or other pitched instrument, to play a quarter note ostinato on C.
Add melody on bells or pitched barred instruments. If time allows, give students an opportunity to play the ostinato and the melody, or save for a future lesson. Transition: Ask students to return instruments as directed. Show students a visual of a horse-drawn sleigh. Preferably an image from the late 1800″s when horse-drawn sleighs were used for transportation. Briefly ask questions about why the students think this type of transportation was used. Discuss that automobiles were not invented yet. Direct students to keep the beat with body percussion or jingle bells as they sing. Transition: Return instruments to assigned locations. Draw or display boxes (representing measures). NOTE: Kids LOVE this! Also works well as a performance piece. There are several variations. The simplest is to have the students stand still at their assigned places, as though they are toys in a toy shop–boys pre-tend to be wooden soldiers; girls, cuckoo clocks (the “clocks” stand on their chairs, if feasible and safe). In a room with window light, turn off the lights to emulate a toy shop in the middle of the night. Set the song up with a story. I’m the toy shop owner who is very tired. It is in the middle of the holiday season and I have worked long hours. I walk over to the light switch to turnoff the lights and go home. BUT, what the toy shop owner does not know, is that at the stroke of midnight the toys come to life for one hour. Direct the girls to stand on their chairs as though they are the cuckoo clocks hanging on the walls of the toy shop, and to cover their faces with their hands as the doors of the cuckoo clock. Wooden soldiers’ eyes are closed as they stand “on the shelf,” but standing on the floor. Six-measure cuckoo: Play the wood block or tempo block on quarter note beats to represent the ticking of a clock. Cuckoo clocks open and close their hands placed on the faces as though they are the bird on the cuckoo clock. Each time their hands open they say “cuckoo” in their head voice, on beats 1 and 3 for six measures, totaling 12 cuckoos. Verse: Wooden soldiers’ eyes open on 12 as they come to life, ready to march with straight legs and arms around the room. They walk like toy wooden soldiers to the beat while the girls sing the wooden soldier verse and then cuckoo twelve times on beats 1 and 3. The wooden soldiers need to be back at their assigned place by the 12th cuckoo. Midnight, midnight, bells are sounding. All the clocks are striking in the town. Marching through the toy shop up and down. Verse: The boys chant count to 12; the girls come to life as ballerina dolls while the boys sing the verse, and cuckoo 12 times. The girls need to be back at their assigned places by 12. Dancing through the toy shop, all around. Girls back at their places by the twelfth cuckoo, where they join the boys in becoming cuckoo clocks for the ending. All cuckoo 12 times on beats 1 and 3. Add students on instruments and create a whole lesson built on this song. The quarter note “tick tock” is easy for students to play on woodblocks. The melody is easy to play on pitched instruments. B section: tap one thigh with both hands on eighth notes, then clap; repeat on the right side. C section: crescendo tap eighth notes on both thighs ending with a clap. Coda: pat left, pat right, clap. Transition for leaving: Note name review. Spend a few seconds asking students to identify note names from Treble Clef Island, using both sets. Then review both sets of cards, beginning with the Thump in the Night story, then guiding through the Secret of Crater Island story cards. Ask if they remember Freddie’s scary dream. Review with the Bass Clef flashcards. Ask students to drop hands and turn in direction of the line.